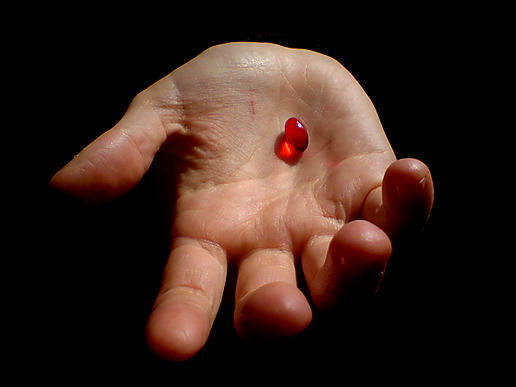 The Red Pill is an irreversible choice – once you take the Red Pill, you look at the world in a new way. The Kauffman Foundation has been dispensing this prescription in the form of its FastTrac program, noting the uptick in accidental entrepreneurship. Detroit’s TechTown SmartZone will help mint, mentor and manage 1,200 new entrepreneurs this year – a staggering number – with help from Kauffman and the New Economy Initiative. To the accidental entrepreneur, unemployment offers freedom from underemployment. Reading the NYTimes profiles of Red Pill refugees, one can’t help feeling sorry for their former employers – those who laid-off the motivated innovators and kept the trogs – these companies ate the seed corn that could have propeled them out of the Great Recession. It should not be surprising that Ann Arbor SPARK’s Shifting Gears program graduated so many accidental entrepreneurs. The success stories came from those who shed the baggage of insular backround experience and applied their attitude, aptitude and ability to new careers- often at smaller, “emerging” enterprises. Check back in a couple years, and you’ll see the Shifties’ own startups bear fruit.